Nestled in the heart of Kinnaur district in Himachal Pradesh is a town called Kalpa, hardly heard of, untouched and pristine. Where the windows open to snow-capped peaks and valleys carpeted with Rhododendrons. As we travel through the towns, farther away from civilization, we uncover breathtakingly beautiful vistas en-route. Every town we stay at is a homely Himachali town, snuggled in the mountains, away from the hustle-bustle we all want to get away from. This tour promises a tranquil time in the mountains, in the company of virgin forests, fresh mountain air, and of course, none other than our very own Bapu, Prof S. D. Mahajan! Hop on for an unforgettable journey. We arrive at Chandigarh and head to Shimla. If time permits, we visit the Vice Regal Lodge, the most prominent landmark of Shimla, home to 13 of the viceroy Generals in India during the British regime and now IIAS, Indian Institute of Advanced Studies - a post doctoral institute for scholars across the globe. Overnight in Shimla. After breakfast, we leave for Narkanda, a small hill station about 120 km away. 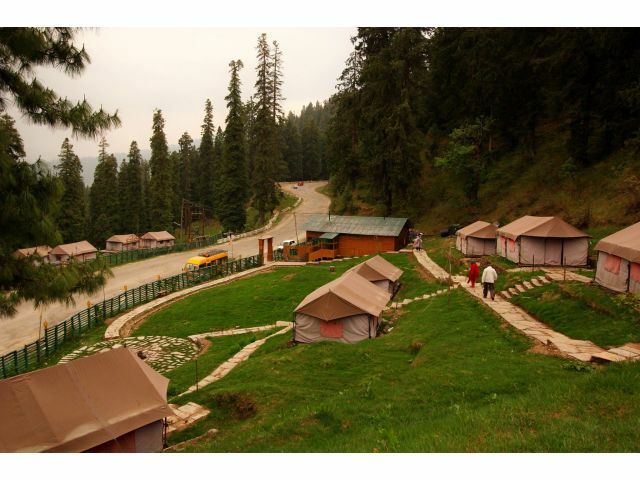 Narkanda offers a spectacular view of snow-clad peaks, amidst beautiful apple orchards and dense forests. Here we visit the Hatu peak and go for a nature walk in the evening. Overnight at Narkanda. Today we proceed towards Kalpa, the beautiful town in Kinnaur, where we spend the next three days. The majestic mountains of the Kinner Kailash range and the Sutlej snaking through them accompany us on our journey. Overnight at Kalpa. We spend the next two days at leisure in Kalpa. We can witness the first light of the morning painting the snow peaks a beautiful crimson. Here we can spend ample time among the mountains and witness the apple orchards in all their glory. We walk down to the local monastery and if possible, go on a small trek as well. We visit Nako, a small village in the Hangrang valley. On the way we visit Khab, the confluence of Sutlej and Spiti rivers. At Nako we visit a beautiful local monastery, seated on the banks of a lake.We also visit the local market. In the evenings we will have some interactive sessions regarding Himalayan ecology and botany. Today we trace our route back to Narkanda and proceed towards Chail, a beautiful little village nestled amidst Deodar forests. Here we stay at the magnificent Hotel Chail Palace, a gracious mansion that was once home to the Maharaja of Patiala. Here we can visit the world`s highest cricket pitch and polo ground. We go for a nature walk in the evening. Overnight at Chail. We depart for Chandigarh an proceed to catch the flight back home. Tour ends.